Salmon Arm is on their second four game winning streak of the season. Tonight they will look to make that a season high five. What makes the streak so impressive for the Silverbacks is the amount of bodies they’ve been missing for the entire duration. Last night the team was missing seven regulars, and the two wins prior they were missing eight. It’s been a team effort approach each game, and Salmon Arm has done well at both ends of the rink on their current streak. They have outscored teams 16-7 in the four games, an have not allowed more than three goals in any of the games. The Silverback’s last loss was in the second game of a doubleheader to the Smoke Eaters so they will be hoping history doesn’t repeat itself there. Against the Smoke Eaters last night, there were a number of firsts for some AP callups. Nikolas Sombrowski of the Fernie Ghostriders scored his first BCHL goal in his sixth game, while setting him up was Ethan Schaeffer recording his first point in the league. Later in the second period, Brendan Pigeon making his BCHL debut had the primary assist on Trevor Adams goal. This weekend there is some extra pressure on Trail as it is parents weekend for the team. Friday night the team had a number of chances, but were unable to beat Ethan Langenegger more than twice as the rookie netminder continued his own winning streak which is now up to five straight. 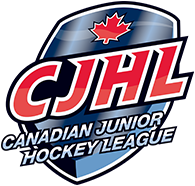 The season series between the two teams is 3-2 in favour of Salmon Arm. Tonight is the sixth and final meeting between the two this regular season. Salmon Arm picked up two points last night, but it didn’t help them much directly in the standings with Wenatchee sitting five points ahead winning, and Vernon who is one point behind coming back to beat the Penticton Vees 3-2 in overtime after trailing 2-0. A win tonight for Salmon Arm would guarantee Trail can’t catch them in the standings meaning the team could finish no worse than sixth in the Interior Division. 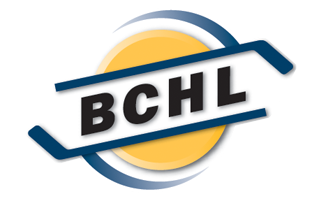 Vernon plays at home to Penticton tonight while the Wenatchee Wild are taking on the Island leading Victoria Grizzlies. Silverbacks: With a stellar performance last night in his BCHL debut, look for Cariboo Cougar callup Brendan Pigeon to build off that in game number two. Playing on a line with Nick Unruh and Trevor Adams, the young forward did everything from digging low for pucks to finding open space for his teammates to find him. Now with three points in six BCHL games, Nikolas Sombrowski has continued to impress for the Silverbacks. He had his first BCHL goal last night being setup by fellow callup Ethan Schaeffer who was able to pick off a pass in the neutral zone. Smoke Eaters: A goal and assist gave Hayden Rowan the first star of the night in Friday’s home loss to the Silverbacks. The Yale commit had a number of chances through the game, and the alternate captain will be a point in a third straight game which would be the first time he hit that since mi-November. Look for Donovan Buskey to get the start at home tonight for the Smoke Eaters. The Trail backup has one win against the Silverbacks, and that came in the second game of a doubleheader against Salmon Arm two weeks ago.